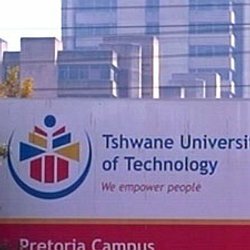 Tshwane University of Technology is taking the lead in the uptake of the new Campus and School Safety and Security Training Initiative (CASSSTI) Program with the re-training of both their in sourced and outsourced security officers to equip the personnel with competencies and knowledge to deal effectively with campus crime and violence. The new CASSSTI Program was developed by the Campus Safety Support Services under the professional guidance of international agencies and the Private Security Industry Regulatory Authority (PSIRA) of South Africa. Forty five (45) personnel from the TUT Campus Protection Services from all the TUT learning sites successfully completed the Level 1-3 (introductory, advanced and professional courses) of the Campus and School Safety and Security Training Initiative (CASSSTI) Program during September 2018. Whilst the MI7 Private Security company recently hosted the CASSSTI program for its middle managers in March 2019 at MI7 Training Centre in Pietermaritzburg, Wenzile Phaphama Private Security company will host their CASSSTI training in April 2019 for all their personnel working at the various TUT campuses. It is anticipated that in the near future the CASSSTI Program will become a mandatory training course for any PSIRA registered security officer working on and off-campus site associated with learning, teaching and research in South Africa. The CASSSTI course is aligned with the goals of the National Development Plan (NDP) as well as the National Campus and School Safety Framework.